Amazing quality of light trails. Cars coming down Lombard Street move quite slowly for obvious reasons. 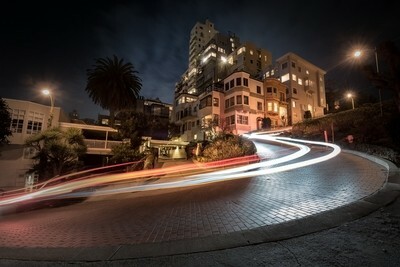 The famous Lombard Street in San Francisco was not as easy to shoot as expected due to the cars turning into spectators, but it was quite entertaining being in what seemed like an amusement park on the street!